Top-notch backup and recovery software is a must-have for all enterprises – but how do you know which vendors and solutions are best for your IT environment? 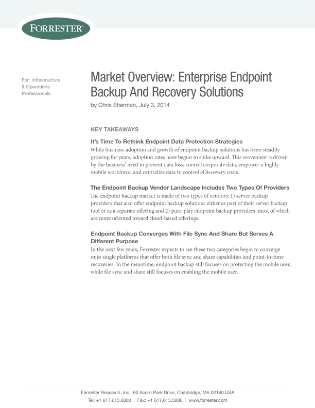 To help you narrow down the options to a single vendor, Forrester Research, Inc. recently evaluated the six most significant software providers on their enterprise backup and recovery solutions. Access this exclusive resource for a complete list of findings, and find out where each vendors stands in relation to each other.